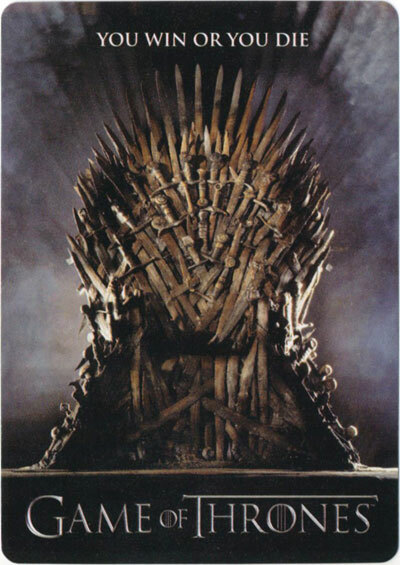 Game of Thrones is an original T.V. series based on George R.R. Martin’s “A Song of Ice and Fire” series. 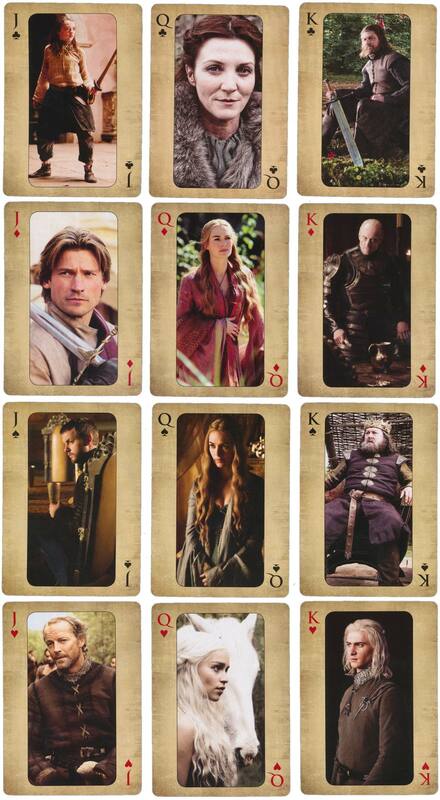 These playing cards are an official fan deck associated with the HBO adaptation of the books. Each ace, court and joker features a still of a different character from the houses Stark, Lannister, Targaryen and Baratheon, inside gold borders. The pip cards have sigil backgrounds associated with various factions in the story. Kings and queens, knights and renegades, liars, lords, and honest men battle in the Game of Thrones. The back design features the Iron Throne (right). Above: Game of Thrones Playing Cards, 2016. 52 cards + 2 jokers in box. © Home Box Office, Inc. Images courtesy Matt Probert. Above: the pip cards have sigil backgrounds associated with various factions in the story.